Now that you are homeschooling, grade levels are on your mind. How to judge them, how to keep up with them, what happens if your children fall behind them. Grade level, schmade level. Homeschoolers—relax. If your children are below grade level in some way, they still have to take the next step. That’s because homeschooling can be potential based, and homeschooled kids can follow their own arc of development as they reach toward their potential. Grade levels were developed for schools, where numbers of students have to be moved through years of curriculum, justifying taxpayer funding with outcomes on grade-level tests. School is standards based and grade-level based. Homeschooling can be potential based. The idea is that if schools have minimum standards, everyone will at least do the least expected. But homeschoolers don’t want their kids to do the minimum to reach the standard; we want them to develop to their maximum potential—which, if we’re honest and if we’re including our kids with all kinds of challenges, might be below the school standard or grade level at a given time in a child’s development—or above that school standard and grade level. Potential based learning can work well for homeschoolers in either case. … potential based learning is not dangerous when the person facilitating your education is willing to see your potential as open-ended and is willing to meet potential with resources, challenges, information, coaches, and mentors as that potential develops. That’s because potential based learning is not dangerous when the person facilitating your education is willing to see your potential as open-ended and is willing to meet potential with resources, challenges, information, coaches, and mentors as that potential develops. Why can’t this be done as easily in public schools? Because of the institutional, systematic nature of things. Because of the cost. Because if you have a system deciding the “potential” of other people’s children, there will not be open-ended expectation of a continuing upward arc of potential. So school has a standards based, grade level approach, to try to make sure that some kids aren’t pegged as not having potential, to attempt to ensure that all kids at least reach minimum standards, and to demonstrate that taxpayers are getting something for their cash. 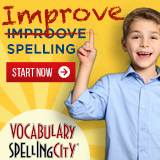 But through my work as a Virginia homeschool evaluator and as I network with homeschooling parents, I regularly encounter parents who are straitjacketed by the idea of grade level. They are so focused on getting their children through grade leveled curriculum that they are fearful of meeting their children where their children’s abilities really are—whether that be a little behind in math or way ahead in reading or any other combination. As if, somehow, forcing a child through grade four curriculum that the child has totally checked out on has created meaningful fourth grade learning. It hasn’t. It doesn’t. It won’t. As a homeschool parent, you have the opportunity to do things another way, to help your child take the next real step in academic development. Indeed, this might be done by finding the right prepared curriculum, one that is exquisitely in tune with how your child learns and provides exactly the right level of challenge. This becomes more likely if you find a curriculum that allows you to gear the difficulty and grade level “up” or “down” for individual subjects. (Some curricula or subject area programs assist with appropriate grade placement or allow flexibility). Even more likely, this will be done by finding the right homeschooling style or approach that fits your family, and tweaking it for individual children who will have their own needs. Do the next thing. Do it in an engaging way. Do more of what gets your children thinking and doing, and less of what causes them to resist and zone out. And most likely of all, this will be done by paying careful attention to what engages your children in learning and doing more of it, whether you are using a formal curriculum, putting together your own eclectic mix, or helping your children learn in another way (more on choosing the best homeschool curriculum here). This will probably include interest based learning, unit studies, and project based homeschooling—but it could be anything—because it depends on what engages specific children. If your children are engaged in learning — this magic thing will happen: they will advance in their skills and their content knowledge, at a pace in keeping with their increasing abilities at the time. The result? You guessed it—the “grade level” of their work will go up. It also means that kids who have special gifts and interests in specific areas will have the support they need to learn more, to go deeper, to become masters. And kids who need extra help will get that help right where and when they need it. Avoiding the “grade level strait jacket” is not an excuse to let children languish without the learning and resources they need to develop. Honestly, I think the grade level “standards” movement is another reason that homeschooling is continuing to grow. Liberated from minimum standards, children with parents who are committed to learning can truly reach for their potential. My next piece describes “When Grade Level Matters” and explains that potential based learners are able to meet the various requirements that come at them in life. I have more of a question than a comment. My son(13) is in public school grade 8 but is actually at a 3rd grade level in most areas, and does not have a learning disability ( as decided by the “child case study” in 5th grade). He has not had actuall passing scores since the 3rd grade. He should not have been moved into grade 4, but because of the ” No child left behind” act, the school refused to allow him to repeat 3rd grade. Therefore each year he has struggled to me standard grade level abilities. He hasn’t been able “catching up” and has never actually had passing grades since then,but continues to be pushed through to next grade each year. In most areas of learning, if you didn’t master the previous level it’s almost impossible to understand the next level. Math for example; he doesn’t know simple math facts like multiplication, division, he can’t add double digits, he can’t tell you what 22-8 is without counting fingers and most of the time won’t even try because he is embarrassed and discouraged. He cannot grasp 8th grade math without knowing 3rd grade math. And it’s the same with reading and other subjects. My question: is there a way to start homeschooling at his actual level? A curriculum that will help to evaluate his actual abilities to know where to begin, in order to start where he left off, as far as actual comprehension? I need him to learn his basics so he can work to where he should be with pride in himself rather than embarrassment and self doubt that he currently carries around making him hate school. He wants to drop out asap. Says school is not for him. He does have innate intelligence. He can learn. Just not the way public school is teaching. I need help finding a way to start him homeschooling where his knowledge actually ends and learning needs to begin. Thanks so much for taking the time to read this long message. I will greatly appreciate any info you can share . You absolutely can homeschool at your child’s level. 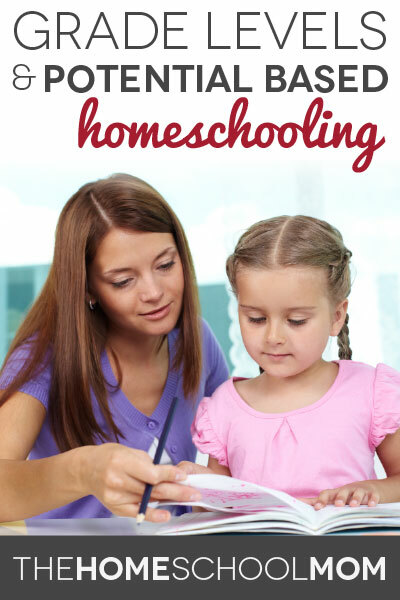 You will find some helpful ideas in my article, Homeschooling the Child Behind in School. 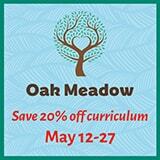 Homeschooling a child who is behind in school can be a big help for many kids. I will be thinking of you. Hello! I would love to gain your permission to reprint the above article in my non-profit magazine for home schoolers in Alberta, Canada! I would point them to your blog in the bio, and be happy to send you a copy. Please let me know at your earliest convenience.